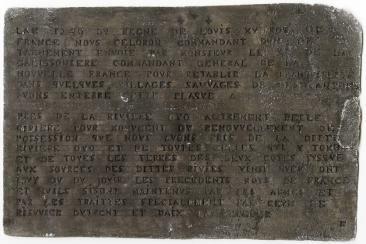 This lead plaque was placed at the junction of the Kanawha and Ohio Rivers in 1749 by Captain Pierre Joseph Céloron de Blainville. Five other plates were laid along other tributaries of the Ohio River to assert France's claims to all the lands watered by those rivers. Under its 1609 charter, Virginia claimed those lands, too. News of the lead plates reached Williamsburg and young George Washington was sent west to expel the French. This is the only plaque that survives intact. 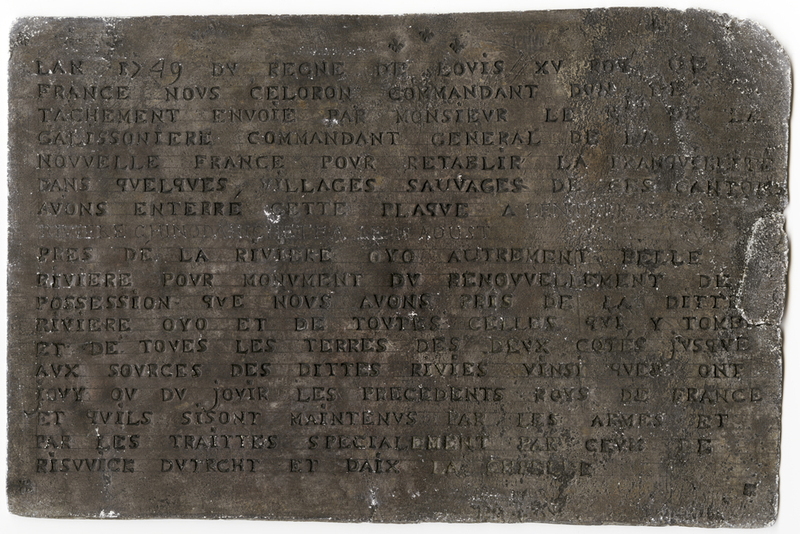 The Céloron plate is one of the most important artifacts to survive from Virginia’s colonial period and one of the most treasured among the museum pieces held at the VHS. Over the years, corrosion has occurred on the piece, despite the care taken in its display. The plate is endangered by the fluctuating humidity levels found in our environment, as well as the lead’s reaction to other materials, such as Plexiglass. The VHS is currently seeking funds to purchase a specifically made case to safely display this endangered artifact. Learn about Robert E. Lee. Learn about the life of Dolley Madison.